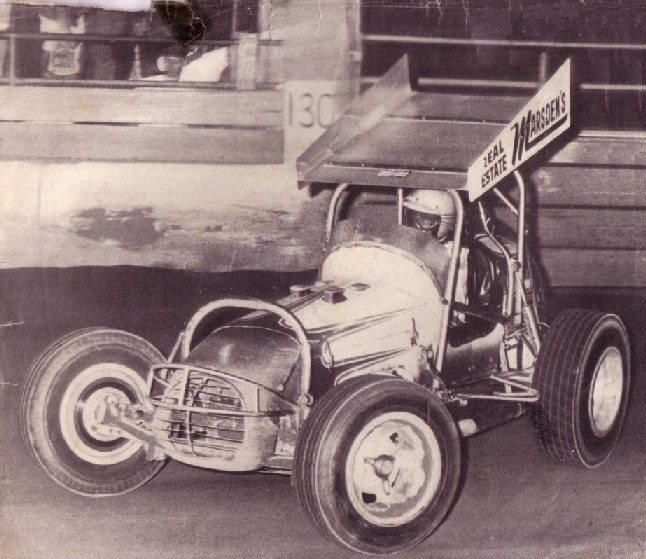 The start of Sprintcar Racing in Australia can be traced back to about 1972 when John Anderson from America first appeared at the Liverpool Speedway with his much lighter and streamlined car, this car was so much faster than the Australian built cars at the time, This car would change the whole face of supermodified racing in Australia. After Anderson's tour was complete, it was apparent that the V8 open wheel world was split, This new style American machine was condemned by many and came under massive protest. Gary Rush gained possession of this sprintcar and raced the car, facing all of the backlash that went with it, there were constant demands to ban the car but it wasn't to be. Copy held in Speedway and Road Race History library.